Direct™ Property Management Software - FAQ - How does ID verification work? All Categories ​>​ Products ​>​ How does ID verification work? How does ID verification work? Our ID verification system saves time & helps to reduce lost chargeback disputes by up to 95% by automating collection of photo ID images and e-signatures for confirmed reservations that have successful credit card charges applied. 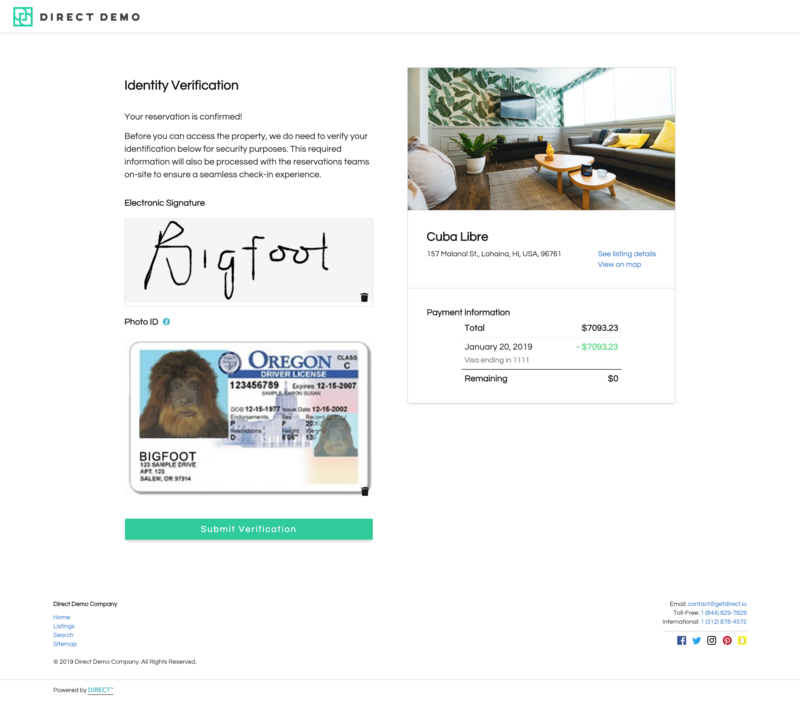 You can easily enable this tool across your entire brand, and from there the collection process is fully automated by our system for reservations made directly on your website, as well as channels like Booking.com and HomeAway/VRBO. Once enabled, after your guests complete a booking they will be directed to a verification page to complete the process. This removes the back and forth over phone and email to obtain signatures and IDs! Head to the page above and flip one or both of the toggles "ON." That's it! 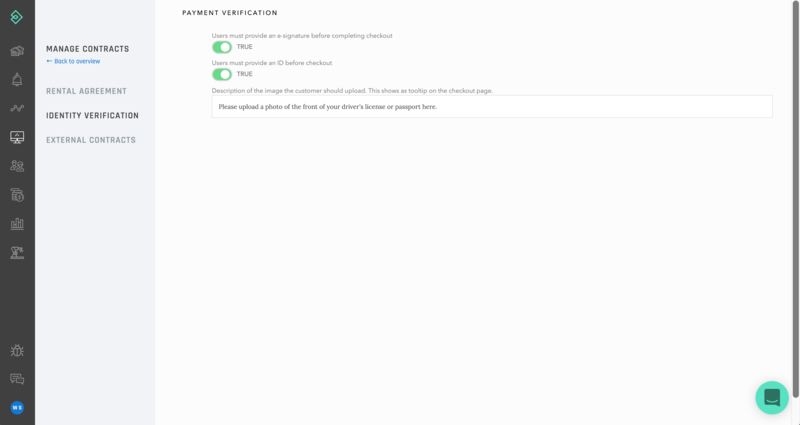 After your guests complete a booking and their card is charged successfully, they will then be directed to the verification page (example below), which they will immediately be directed to if booking direct on your website, or if the reservation was made on Booking.com or HomeAway/VRBO a system-generated email with the verification page link will be sent by our auto-email system. ALSO - the system will automatically remind the guest to complete the verification leading up to the check-in, and the system will automatically withhold sending the check-in instructions until completed! Once they complete this the verification details will also be added to the corresponding reservation details page. Looking for a more advanced ID verification tool that automates communication of reservation details & exchange of rental contracts between gusts and external teams you need to be compliant with, such as front desks at condo-hotels or HOAs where your units reside? 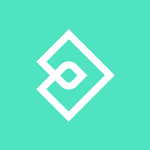 Check out our External Contracts tool! If you have any questions you can always CONTACT US via our contact form, email us at [email protected], live chat us within the app, or call us at 1-312-878-4572. How do external contracts work? How does the implementation process work? How does v1 of Airbnb Auto Messages work?